Click on the "Campaign Icon" in the top, right of the page and then click on the "Campaign" that you want to edit. 2. Click on the "Gear Icon" in the upper, right of the page and select "Edit." 3. 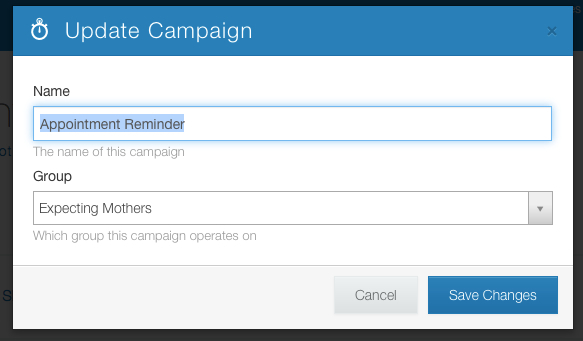 Change the Name of your Campaign and/or the Group that the Campaign operates on and click "Save Changes."